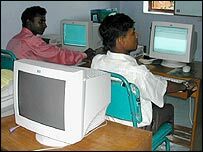 Rich and poor countries have settled most of the key disputes that had threatened to derail this week's United Nations digital divide summit. After two days of talks in Geneva, negotiators reached deals on human rights and managing the internet. But they are still at odds over how to help expand net access for the poor. Around 60 heads of state, business leaders and community delegates are expected in Geneva for the three-day summit which starts on Wednesday. The aim of the World Summit on the Information Society (WSIS) is to come up with a global plan to ensure everyone has access to information and communications technologies. 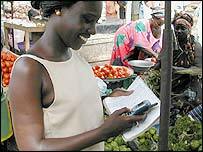 It was first proposed in 1998 by the UN, which views technology as a powerful tool to help developing nations educate their people, make them healthier and escape poverty. The first phase is due to be held in Geneva between 10-12 December, marking the culmination of months of detailed planning and preparatory meetings. But the talks between rich and poor countries had become bogged down in issues of media freedom and who should run the net. Most of these have now been resolved, following some last-minute talks at the weekend in Geneva. "Unfortunately, we didn't settle everything, but one has to be realistic. We're probably at 98%," said Marc Furrer, the Swiss official who brokered the discussions. One of the main issues had been the question of human rights and free speech. Countries like China which maintain tight controls on the media had been anxious to restrict references to press freedom in the summit declaration, whereas the US and the EU considered free speech as a fundamental principle of the internet. The compromise reached includes the commitment to press freedom enshrined in the United Nations' Universal Declaration of Human Rights. The negotiators also managed to find a compromise on the question of who should administer the internet. Currently the net is managed by the Internet Corporation for Assigned Names and Numbers, (Icann), a semi-private body created by the US Government in 1998. Developing nations had been pushing for the UN to have a far greater role in the regulation of the net, while western countries opposed handing over control to an international agency. Negotiators side-stepped their differences by putting the issue on the back-burner. They agreed to set up a UN group to study new ways of running the internet which would report back in 2005 at a second summit in Tunisia. The key stumbling block is one of the most contentious - whether and how rich countries should help the growth of the internet in poor nations. African countries, led by Senegal, have been pushing for a special international fund to finance technology projects in the developing world. But European nations are suspicious of the idea, preferring instead to use existing aid money. "Some countries want to set this up now, others say they don't want to have anything to do with it," said Mr Furrer. One of the compromise ideas being put forward is to agree on looking into the idea of a special fund, without making any firm commitments to its establishment.